Dr. Jessica, a Lexington, Kentucky native, is proud to have graduated from the University of Kentucky – Go Wildcats! 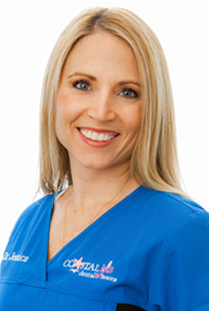 Dr. Jessica’s caring nature has allowed her to establish great relationships with her patients, many of which seem more like family than clients. She always strives to deliver 5- star service, which for her means going above and beyond to make her patients feel comfortable and relaxed. Outside the office, Dr. Jessica enjoys spending time with her husband, Dr. Jeff, her daughters, Ella and Natalie, and her golden retriever, Sully. They all love going up to Lake Norris in Tennessee for boating and fun on the water. She also enjoys running, biking, and anything that gets her outside in the sun.